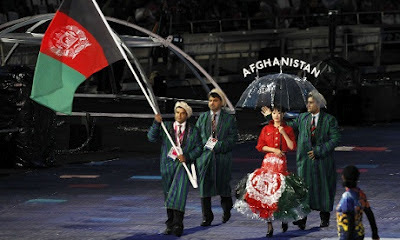 Athletes from Afghanistan, Kazakhstan, Kyrgyzstan, Tajikistan, Turkmenistan and Uzbekistan are at London's 2012 Paralympics. The 10-member Uzbek contingent are competing in four sports: track and field, swimming, power lifting and judo. Uzbekistan boasts a proud history of investing in sports training for both able-bodied and disabled athletes. In the 2009 Asian Youth Para Games, Uzbek athletes won four gold, three silver and one bronze medal. At the 2010 Amputee Football World Cup, held in Argentina, the team defended the champion’s title, winning gold for the second consecutive time. 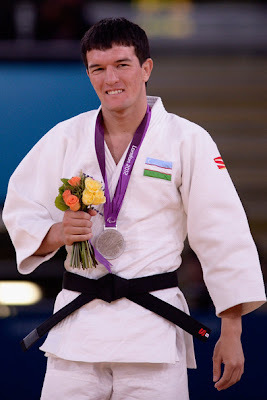 Uzbek judoka Sharif Khalilov has become the first Uzbek paralympian medallist ever, winning a silver in the 73 kg category. Seven Kazakh athletes are in three events: power lifting, swimming and track-and-field. In 1994, Kazakh Lubov Vorobieva won silver in cross-country skiing at Lillhammer's winter paralympics in 1994, which has been Kazakhstan's only paralympian medal. Kyrgyzstan debuted in the Paralympics in 1994 and this year hopes for its first medal are pinned on its only competitor, power lifter Esen Kaliev. Afghanistan is also represented by one athlete: Mohammad Fahim Rahimi, a power lifter, who lost his right leg 18 years ago during the civil war. Fahim Rahimi competed at the Beijing Paralympics in 2008, and this time he wants to bring home a medal. Turkmenistan has fielded five athletes: Sohbet Charyyev, although not a medallist, scored his personal best in the F13 men's long jump final. Tajikistan's Parviv Odinaev, his country's sole competitor, hopes to score in the men's 75kgs powerlifting event. Uzbek Journeys wishes all the athletes success and joy at the Games. Related post: Uzbekistan, Kyrgyzstan and Turkmenistan at the 2012 Olympics.